Everyone’s favorite Brooklyn-based, dance-punk indie babies of LCD Soundsystem are just over two years into their triumphant return. And full disclaimer: they are as strong as ever. This is is a band whose music marked some of my most memorable college moments. Back in my undergrad days at Wesleyan University (shoutouts to Connecticut), my college friends and I would closely stick to our party playlists which were full of songs that existed all throughout LCD Soundsystem’s discography. We were just young adults then just trying to “curate” a positive listening experience for any revelers who graced our homes with their presence (since then I’ve matured and come to realize how pretentious that sounds). There was one particular party in junior year where we ignored all requests for Ignition and threw on Daft Punk is Playing at My House to the chagrin of many of our party-goers, most of whom emptied out of our house (seriously, they could’ve heard that at any other party and never gave us the recognition we deserved). There was another moment when we played All My Friends as we left Longmeadow, Massachusetts with some newly procured beers because we forgot that liquor sales ended at 9pm in Connecticut. By attending one of their live shows, you can feel yourself transported to special moments in your life and you will find yourself unable to NOT move your feet as they dive into their rich catalogue. 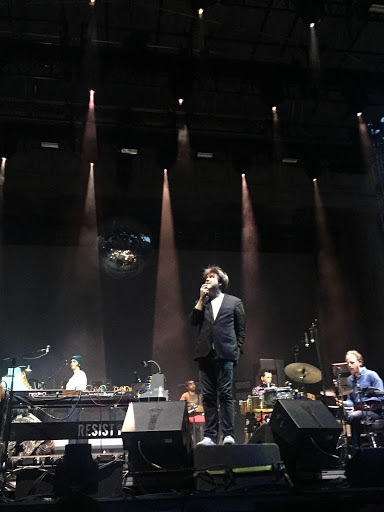 I was lucky enough to grab tickets to two of the three nights of LCD Soundsystem’s tour in Berkeley with the support of the always fun TV On The Radio. These were my fifth and sixth respective times ever seeing them and the experience is always worth the price of admission. 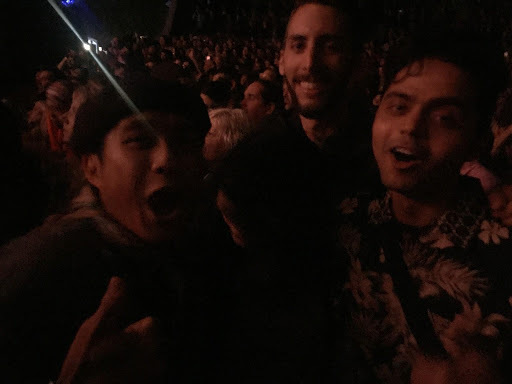 Their headlining show at Outside Lands in 2016 was my first time seeing them and a concert moment I will be retelling others when I am withered and stuck in a proverbial retirement home. On both nights, I got to the concert 30 or so minutes before TVOTR came on. Though the first few rows were filled with the most die-hard of fans, it was not difficult to get a prime viewing location with my friends. 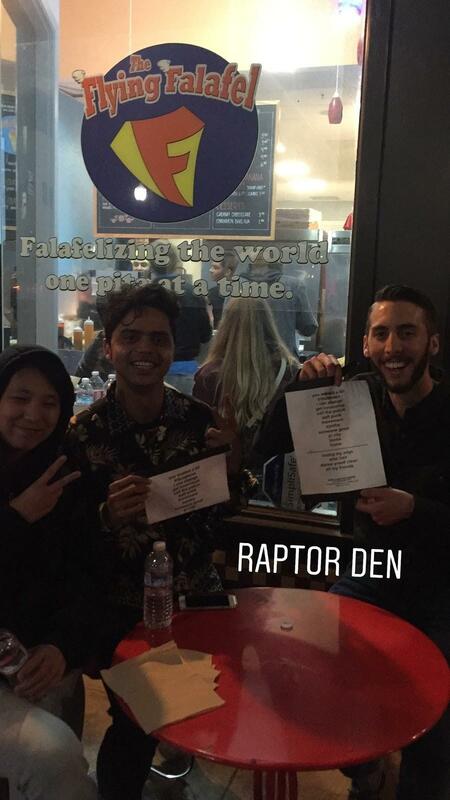 The band decided to slightly vary their setlists each night. I thought this was a smart move on their part as it allowed for long-time fans to experience the depth of their discography if they stuck around for more than one show. It was their insertion of Us V Them as the opener on the second night that kicked my dancing shoes into gear. The deep, thundering bassline of Tyler Pope coupled with the always fun cowbells signaled LCD’s final “Good Evening” to the fans of Berkeley. Except they did not say that, they simply chanted “The time has come” as each instrument and synth built up to a mesmerizing dance crescendo that lasts for a good 10 minutes. At long last, everyone knew they were at an LCD show. The enthusiasm of the fans near me was a sign that I was in for a treat that no other band could replicate. As the evening on, the fog started rolling in but the band showed no signs of letting up. LCD has been in the scene long enough to understand how to lace slower moments between their frenetic anthems (how else was I supposed to catch my breath?). An underrated standout from both evenings was when they played the slow-burn, always sarcastic Yr City’s A Sucker. Explained by James to be 1 “B-Side that they really enjoy playing” reaffirmed my love for a band of friends who jam out and prompt you to let out a “HA HA HA” if you’ve given this song enough listens. Towards the end, James himself explained to the crowd that they were going to leave, pee, and play a couple more songs. This is his signature friendly reminder that no LCD dance party cannot end without Dance Yrself Clean and All My Friends. The sensation of hearing these two songs live could not be put into words. I purposely put my phone away to bask in the communal nirvana achieved by anyone who has ever screamed, jumped, and done stupid crap to these songs. The drop of Dance Yrself Clean unleashes a kind of pandemonium that I have not experienced in any other show while the all-too-honest lyrics of All My Friends never fails to initiate a tight hug with your buddies and initiate a bittersweet longing for the friends who have come and gone from your life. Once their hits were all taken and accounted for, they closed with the bittersweet New York I Love You, But You’re Bringing Me Down. The waltzy, self-deprecating jingle seems to resonate with anyone who has had dreams of being in the big city to make something out of themself. I felt a strange connection with everyone around me who is internalizing their own struggles to make it through this life we’ve been thrown into. Concerts like these remind me of how lucky I am to have this fandom and to share that with others.